Faced with the impending referendum on British membership of the European Union (EU), and the reactionary arguments which dominate on both sides, socialists might be forgiven for echoing Mercutio’s dying cry in Romeo and Juliet of “a plague o’ both your houses” and opting for abstention. It is certainly true that the radical left cannot join either of the highly fragmented “official” camps, both of which espouse anti-working class politics of one variety or another. But refusing to take a side is also untenable. Abstention will simply mean invisibility and, consequently, irrelevance. An even worse position would be where socialists do have a preference between Leave and Remain, but are unwilling to state it publicly because they fear being tainted by association–in effect hoping that someone else will make their arguments for them. Leaving aside the moral bankruptcy of such a position, it is also politically useless: on 24 June the UK will either be heading for Brexit or it will not, but we cannot avoid taking a position unless we are prepared to live with consequences which we had no part in shaping. If the radical left says nothing then we can be sure that the right-wing positions will continue to dominate both the campaigns and the aftermath. We have to approach this situation, not as bystanders, observers or commentators, but as participants who can help determine whichever outcome looks most likely to open up a dynamic advantageous to the left–providing, of course, the left is capable of recognising the possibilities and acting on them. Brexit would intensify three existing crises: of the EU itself, of the British state, and of the Tory Party, which is potentially facing its greatest split since the repeal of the Corn Laws. Indeed, the very absence of effective opposition to the Tories at Westminster is weakening internal discipline within the main party of British capital and encouraging unrestrained internecine warfare. Yet I have lost count of the number of articles which seem to start from the assumption that, after a vote to Leave, the Tories–elected by 25% of those eligible to vote, having achieved an outcome opposed by most of the capitalist class they are supposed to represent, and now engaged in open civil war–will be in power until the end of time. But after Indyref, after Corbyn, after Sanders, we have to understand the volatility of contemporary politics, the speed with which positions can shift in quite unexpected ways. It would something of an understatement to say that the position stated in the previous paragraph does not exactly have majority support on the Scottish left. Indeed, in terms of formal party positions, there is a remarkable unanimity about remaining in the EU all the way from the Scottish National Party through the Scottish Greens to the Scottish Socialist Party. RISE, an alliance rather than a party, has not taken a position and need not do so, although candidates will inevitably and quite properly be asked to set out their personal views on the issue in the Holyrood elections in May. The Radical Independence Campaign (RIC), a movement rather than a party, is under the least pressure to arrive at a position–and judging from the discussion of the EU at RIC conference on 20 February–its members are currently as uncertain and divided as most other people in Scotland. Normally, this level of comradely agreement on the left would be welcome, as it was during Indyref. Unfortunately, in this case I believe that the majority of the radical left have converged on a position which is both wrong and potentially dangerous. Let me be clear what the problem is here. It is not that those arguing for Remain are seeking the same outcome as David Cameron and Peter Mandelson: I am arguing for Leave and that means that I am seeking the same outcome as Nigel Farage and George Galloway. Clearly, we are not doing so for the same reasons in either case. A similar situation arose in the 1975 referendum on membership of what was then the European Community (“the Common Market”). The revolutionary left at the time rightly argued for Britain to leave, even though this was the same outcome supported, not only by the Labour Party left and the Communist Party of Great Britain–whose arguments were, to say the least, coloured by British nationalism–but also by Enoch Powell and the fascist National Front (NF). In other words, it remains perfectly possible for two groups of people to support the same political position in the expectation of, not only different, but diametrically opposite outcomes. When this happens, it is usually for one of two reasons: either one group has simply misunderstood the situation–in other words, the two opposing groups cannot both be right and the meaning of the outcome will be different from what one of them expects; or because the situation is genuinely indeterminate–in other words, the outcome will be decided by what the different groups do in the process leading up to it. Both misunderstanding and indeterminacy were on display during Indyref. On the No side, Labour left-wingers like Neil Findlay argued a case based on British-working class solidarity and defence of the welfare state. I think that case was misleading about the issues at stake, but it was a perfectly honourable one to make; the problem was that it was clearly incompatible with the dominant case for No (effectively the official Labour position), which was based on strengthening British capitalism and maintaining its position in the global imperialist order. Once the votes were counted, it was obvious from a range of indicators, from fascists rampaging in relief through George Square in Glasgow to the soaring value of stocks in Scottish financial companies, that supporters of the official No position had been correct. On the Yes side, the vision of a Scottish socialist republic held by RIC was clearly different from the small-scale capitalist utopia envisaged by Business for Scotland, and it was by no means settled in advance which of these would have triumphed had Yes actually won. Given the role played by the left and its relative strength by the end of the campaign, however, there is at least a realistic possibility that our version of Scottish independence would have prevailed. And it remains the case that how we struggle for independence will shape the nature of a new Scotland. There are several differences between Indyref and the EU referendum, to which I will return. In one respect, however, the latter involves a similar misunderstanding, in this case by the majority of radical left about what a vote to remain will involve. It is not about maintaining the status quo, but changing it in two respects. First, we are being asked to vote remain on the basis of Cameron’s deal attacking migrant access to benefits, which is itself predicated on the false claim that migrants are essentially a parasitic drain on “our” resources. And of course, once the logic of only being able to draw out benefit system what you have paid in is accepted, we can be sure that it will be extended from migrants to all inhabitants of the UK, be they ever-so white and their lineages of the purest Anglo-Saxon. Second, it means participating in a full-spectrum (i.e. not just in relation to migration) rightward-shifting agenda which is being driven by other member states of the EU. There is a particular inverted conceit on the part of the British left, to which the Scottish contingent is particularly prone, where the British state is the most undemocratic in Europe and our present Westminster government the most right-wing in the EU. I will return to the British state later, but–incredible though it may seem–the Tory government is by no means the most right-wing in the EU; that dishonour could realistically be claimed by the governments of Hungary and Poland, or of Denmark and Finland. The point is that they will now draw two conclusions for their own countries from a British Remain vote on the current basis: one, that the road to neutralise populist anti-EU sentiment is to increase attacks on migrants; the other that they can press their own “exceptional” demands of the EU with the expectation that they will be granted in order to keep the Euro-show on the road. For some Scottish nationalists, and supporters of independence more widely, none of this matters. The prospect of a renewed crisis of the British state is significant mainly, or in some cases, solely because of the implications for Scotland. They look forward to a scenario in which a majority in England vote to leave while a majority in Scotland vote to remain, thus triggering Indyref2. This, as the English say, is too clever by half. Leaving aside the question of whether we want Indyref2 to be generated as a side-effect of a separate process at a time not of our choosing, the assumptions behind these calculations are manipulative in the extreme. The issues of the EU and consequently of voting in this referendum have to be addressed on their own terms. If we believe that staying in the EU is beneficial to working class people, why would we wish to deny these benefits to those who happen to be English? If, on the other hand, we think that the EU is detrimental to working-class interests, why would we argue for the Scots to be subject to it a moment longer than necessary? There are, however, two non-nationalist, left-wing arguments for voting to remain across the UK, to which I now turn. With one very important exception, the forces supporting the UK’s continued membership of the EU are the same as those who opposed Scottish secession from the UK: internally–the institutions of the British state including the Treasury, the BBC, and the Chiefs of the Armed Forces, most British capitalists of any size and their representative organisations like the CBI, all the mainstream political parties including (for the moment, at any rate) the Labour Party, and the liberal news media; externally–the US State Department, President Obama and both of his potential Democrat successors (although this is one of the few issues on which Democrats and Republicans agree), and, most obviously, the European Commission and Council, the European Central Bank and mainstream political members of European Parliament. In short, the principal opposition to Brexit consists of those ruling class representatives and their hangers-on who understand the importance to the international neoliberal and imperialist order of maintaining both the territorial integrity of the British state against the threat of Scottish independence and its EU membership against the threat of Brexit. But the political parties which were on the Yes side during indyref are now arrayed, in relation to the EU, with the very people and groups to whom they were opposed in the previous referendum. What has led these quite different and–in virtually all other contexts–bitterly opposed forces into such extraordinary political alignment? The main explanation is the nature of those arguing for withdrawal. I wrote above that there was an important exception to the way in which the indyref line-up for No has moved seamlessly to an EU Remain position, and that exception is the hard right, from the actual fascists of British National Party (BNP) and the NF, through the United Kingdom Independence Party (UKIP) to the Eurosceptic wing of the Conservative Party–still its most influential section–and its media loudhailers in the Murdoch newspapers, plus the Daily Mail and the Daily Express. As a result, the arguments for remaining in the EU most commonly expressed on the radical left is essentially a negative one. This perspective begins from the correct observation that the main drive for withdrawal from the EU has historically come from the hard right. It recognises that UKIP popularised this position by focusing on the question of national sovereignty in general, specifically by highlighting the inability of the UK to control its borders in the face of supposedly unlimited migration either from within or–in the case of refugees–via the EU. The success of UKIP in turn emboldened the Eurosceptics within the Conservative Party: the referendum is therefore only happening in response to pressure from these forces and the campaign for exit is being conducted according to their racist agenda. If there is a majority vote to leave, the argument goes, it will immediately mean that non-UK citizens and their families from the EU who currently have right of residence here face the danger of expulsion or, at the very least, will face a much more precarious situation. In this context, voting to remain, while not necessarily leading to any positive result, would at least avoid a negative one: it is the “lesser evil”. Now, the hard right is certainly our enemy but, in this context at least, it is not the main enemy. The imperial nationalism unleashed by the Conservatives before 1997 in relation to “Europe,” was not, as we shall see, because the EU was in any sense hostile to neoliberalism, but as an ideological diversion from the failure of neoliberalism to transform the fortunes of British capital, outside of the City of London at least. The nationalism invoked for this purpose now places a major obstacle for British politicians and state managers who want to pursue a strategy of greater European integration, however rational that may be from their perspective. The overwhelming majority of capitalists, managers and their political representatives do not want to leave the EU, although many would like to renegotiate the treaty on terms which remove even the minimal worker rights which it currently contains, as Cameron, if victorious, will almost certainly attempt to do. Above all, they do not want to stem the flow of migrant labour into the UK, although they do want it to be precarious and consequently pliable. The hard right has, in effect, broken with this mainstream ruling class position. There is a problem with some left analyses of the hard right and its far right component in particular, which is the assumption that it represents the “real” face of capitalism unmasked. In fact, in the developed world at least, it is only in very rare situations of dire extremity–and usually after facing the kind of threat from the labour movement that has unfortunately been absent for several decades–that capital has ever relied on the far right to solve its problems. 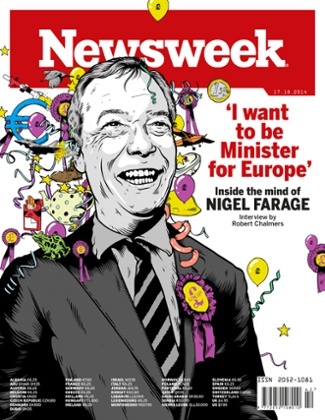 UKIP, like the Tea Party in the USA, is capital’s Frankenstein’s monster, an unintended consequence of the unresolvable social tensions thrown up by the neoliberal order. UKIP has given a focus to a range of concerns in the shape of a quasi-imaginary institution called the “Brussels”, in a similar way that the Tea Party did in the shape of another quasi-imaginary institution called “the Government”; the main difference is that in the case of the former, the institution is foreign, rather than domestic, the crime of local elites being their compliance with it. The basis of at least part of UKIP’s popular support is, however, drawn from a comparable constituency to that of the Tea Party. Unsurprisingly, one section involves small businesses and the petty bourgeois proper, which tend to trade within the UK rather than the rest of the continent, and for which increased regulation and improved worker rights–even of a minimal sort–pose a far greater threat to their profit margins than they do to large corporations. But the constituency also includes a section of the working class who no longer feel represented as their lives and communities are being destroyed by neoliberal globalisation. Former employees in the fishing industry in parts of northern England like Grimsby can point to the Common Fisheries Policy and its attendant quotas and regulations as contributing to its local demise. These are genuine grievances which have nothing necessarily to do with racism, although UKIP of course tries to frame them in this way. It is a fixation with the hard right and its policies on migration to the exclusion of virtually everything else that has led sections of the left to embrace the problematic notion of the “lesser evil”–regrettably, since it has not proved to be a particularly successful tactic in the past. Indeed, history tends to suggest that it can also result in the “greater evil”. Think of Germany in 1932, when the Social-Democratic Party refused to stand their own candidate in the Presidential elections and called instead on its supporters to vote for the right-wing but non-fascist Hindenburg as the “lesser evil”, only to find that, once elected, he appointed Hitler–the “greater evil”–as Chancellor anyway. This is obviously an extreme example, although I suspect we will shortly be hearing the same argument again in relation to Hilary Clinton and Donald Trump. There is, however, two reasons for rejecting arguments from the “lesser evil”, quite specific to our current situation. The first is that approach is entirely reactive and deeply pessimistic, since it assumes that all the left can do is adopt a defensive position in relation to UKIP and the Tory right. In effect, it is saying that a majority of working-class voters are so in thrall to anti-migrant racism that they will only vote for withdrawal on that basis. But socialists have to argue for what they actually believe in on the assumption that we can win working class people to our positions. If we think this is impossible, whether in relation to migration or anything else, then we are essentially confessing to our own political impotence, our inability to change anyone’s mind. It is to assume that we have to work within the policy limits of what the Parliamentary Labour Party and the trade union leaders will allow Jeremy Corbyn to say on the subject. The second reason for rejecting the “lesser evil” is that reduces the EU (and non-EU) migrant population of the UK to the status of passive victims of the Tory government. Yet many of the over 2 million EU workers here are integrated into the communities where they live, have joined trade unions and are members of left-wing political parties, like the Polish RAZEM. From the point of view of capital, entire sectors and some whole firms (Sports Direct springs to mind) are dependent on their labour. Remain supporters conjure up a nightmare vision of the day after a 23 June vote to Leave in which hundreds of thousands of migrant workers are rounded up by police in unmarked black vans; but this would only be realisable under an actual fascist government prepared to contemplate the collapse of large sections of the British economy, particularly services and agriculture. What happens during the prolonged period of post-referendum negotiations will, again, depend on what the left actually does before and in that period. In any case, to argue exclusively in relation to EU migrants who are currently in the UK is to ignore the plight of those actual and potential migrants and refugees from outside the EU, whose position behind the razor wire borders of our Common European Home will be reinforced. In any case, the central task is to support and help organise migrant workers while arguing for British borders to be open to everyone, in the EU or out. And if comrades think this is Utopian, where does that leave the prospects of ever achieving socialism, which is, if anything, an even harder argument to win? Why is the source of the fatalism which large sections of the radical left displays over the EU? A comparison between the 1975 and 2015 referendums is interesting in this respect. In the former, after nearly seven years of intensive and largely victorious industrial class struggle, and the emergence of several new social movements, the left felt confident enough to argue for what it actually thought was the right course of action. The fact that it lost can, in retrospect, be seen as the beginning of the turn to the right and the onset of the neoliberal era. It is sobering to think that the last generalised victory achieved by the working class since then was the repeal of the Poll Tax legislation and the downfall of Thatcher, twenty-five years ago. Yet even that struggle was based in working class communities, not their workplaces, as was the Yes campaign. These decades of defeat have left their mark. But it is still possible for left interventions to shift popular consciousness, as socialists in Scotland should know better than anyone. RIC did so by pushing the entire campaign for independence to the left and mobilizing forces which had previously been ignored by official politics. And sometimes this can happen even without the left. The expressions of public support for refugees which followed publication of the photographs of Alyn Kurdi’s body were only in part a shift in popular mood; the photographs were also the occasion for people who were always unhappy with the racism surrounding this issue to find their voices. There was a quite uncharacteristic silence from UKIP spokespeople following their publication, which suggests they were aware that they were no longer setting the agenda. Of course this did not mean that anti-refugee racism had vanished, but neither is it unchallenged. The point is that people are capable of both supporting refugees and also rejecting the EU–not least because it is visibly the behaviour of the EU as an institution which is at least partly responsible for their suffering. Finally, a situation may well arise in which the argument becomes completely redundant. Imagine that England votes to leave and Scotland votes to remain. Indyref2 then follows according to plan, with a Yes vote of sufficient size to silence any attempts to question its legitimacy. At this point Scotland could apply for membership of the EU and, in all probability, be accepted with the usual conditions which would include–since we would not have the UK’s current opt-outs–adoption of Maastricht convergence criteria, including cutting the percentage of debt to 60% of GDP, the Euro (including the Eurozone bailout mechanisms), and the Schengen agreement. The assumption has been that this would proceed without any further reference to the Scottish electorate, but this would be undemocratic in extreme. A vote to remain while part of the UK may not be replicated when the context is a newly independent state and would have to be tested again, not least because the UK referendum electorate excluded 16-17 year olds and migrants, who should be given the chance to register their choice. However, at this point the “lesser evil” position would no longer be relevant, since the anti-migrant hysteria associated with the English hard right will no longer distort the nature of the argument. The positive case for joining the EU, based on what it actually is and does, could finally be made on its own terms, without distraction or evasion. What is that case? The positive argument for joining the EU, independent of the contingent ravings of racist Europhobes, tends to be made by the liberal and centre left. In their vision, the EU is a fundamentally benign institution (“although of course it is not perfect”) which has helped prevent war in Western Europe since 1945, established rights for workers and citizens, and regulated the impact of businesses on health and the environment. Associated with these claims is a notion of “Europe”, usually presented in a cloud of vaguely uplifting waffle, as the embodiment of Enlightenment ideals, transcending what is invariably described as “narrow” nationalism and acting as a barrier to US interests, which are presumed to be different. In this perspective, the EU today may have been temporarily taken over by neoliberals, but it can be reformed until it becomes a body capable of responding to demands for social justice. The dissonance between the reality of the EU and the fantasy of “European values” beloved by the likes of Polly Toynbee, Will Hutton and Martin Kettle (whose support for the EU is matched only by their opposition to Scottish independence) is partly disguised by blurring what is and is not part of the former. Here, liberals effectively collude with the hard right, which has its own reasons for sowing confusion. The European Court of Human Rights, for example, which was responsible for the Human Rights Act, is frequently cited as a reason for remaining in the EU; but it is quite separate and was established with the support of Churchill during the 1950s, although this unsettling fact is usually concealed from readers of both the Guardian and the Daily Mail. The attitude of the socialist left to the EU tended to be more hostile to the EU than the liberal and centre left, as the line-up in the 1975 referendum suggests. Tom Nairn was only slightly exaggerating when he titled a famous article from 1972, “the left against Europe”. All this began to change during the Thatcher era when, in the face of massive trade union defeats and the apparent inability of the Labour Party to win General Elections, the EU appeared to be the sole bulwark against attacks on the labour movement. The turning point was probably a speech by Jacques Delors, the then President of the European Commission, to the TUC in September 1988, followed by the adoption of the Social Chapter at the Strasbourg Summit the following year. Delors, as French Finance Minister, had of course been partly responsible for the Mitterrand Government abandoning its reform programme of the early 1980s and embracing the neoliberal project, which should have alerted his audience to the purely tactical nature of his blandishments, but desperation makes fools of us all. Contrary to the sophisticated conspiracy theory promulgated by Naomi Klein in The Shock Doctrine, neoliberalism was not created because politicians, state mangers and corporate CEOs, after years of being mysteriously thwarted, suddenly saw opportunities in “disaster capitalism” to successfully apply the doctrines of Freidrich von Hayek or Milton Friedman. On the contrary, neoliberalism was a strategy improvised in response to the return of generalised economic crisis in 1973/4, in conditions where mode of accumulation which had prevailed since 1945 was no longer working and where policy options–or at least those supportive of capitalism–were consequently highly constrained, hence the turn to privatisation, deregulation, indirect taxation, and the rest. But neoliberalism is no longer simply a set of policies, but the way in which capitalism is currently organised. In retrospect, we can see neoliberalism as an entire period in the history of capitalism, as yet open-ended, in which the dominant social and liberal democratic consensus of the post-war boom was overthrown and replaced: these days will not return. The EU had begun its own march towards neoliberalism no later than the Single European Act in 1986 and this has been confirmed and deepened by every single subsequent Pact and Treaty from Maastricht on 1991 onwards. This is hardly surprising: the EU is not a body suspended above shifts in the capitalist system and, as the transition to neoliberalism was imposed within the constituent nation-states, it was bound to reflect this in its own policies and rules. What made this easier than in the individual nation-states was that the EU always lacked most of the democratic constraints which made the transition at least a contested process in Britain or Italy, even in the period when it did more-or-less embody more social democratic conception of ownership and control. Ironically, in this respect it was always structured according to the precepts of one leading neoliberal thinker. In 1939, Hayek wrote an article in which he argued that “Interstate Federalism” at the European level would be desirable. Why? Mainly because it would ensure that economic activity should be removed as far as possible from the responsibility of meddling politicians who interfered with the market order to win electoral support from ignorant voters. The EU has followed Hayek’s advice by centralising power in the hands of appointed officials, above all in the Commission, which alone has the power to initiate legislation, three types of which–regulations, directives and decisions–are binding. The Parliament has a right to be consulted, in certain circumstances, but none to initiate legislation in its own right: in this respect it has far less power than any national government, or for that matter, any devolved government like the Scottish or Catalan. But this is not the only democratic deficit. If the Commission is a supranational body, the Council of Europe is an intergovernmental one. It consists of the heads of state or heads of government of the member states, who are of course elected in their own countries, but not by the inhabitants of the other countries whose fate the Council decides. It proceeds by “consensus”–in other words what is acceptable to the French and German axis, and increasingly, to Germany alone. No votes are conducted or minutes taken, and decisions are signalled by the President arriving at a “conclusion”. These structures are one reason why we should reject claims that the EU is as amenable to reform as any nation-state. In fact it is much less so. Capitalist states are permanent structure until they are overthrown, although they can adopt different policies according to the political parties or coalitions which oversee the apparatus at any time, and these can be more or less–usually less–beneficial to the working class and oppressed groups. The problem with the EU is that, although it is not a nation-state, the balance between unelected state managers and elected representatives is even more heavily weighted in favour of the former in the EU than in its constituent members. Reforms are never easily achieved, particularly under neoliberalism, since it has removed several mechanisms from control of states. Nevertheless, it is not impossible–even in Britain. This point is important since there is an argument, to which I have already alluded, that whatever may be possible in Other Countries, the UK is a uniquely archaic and undemocratic formation in Europe, or perhaps the world. The supposed archaism of the British state is actually more apparent than real, and can only be sustained by a truly catastrophic confusion between form and content, in which the existence of the Monarchy and the House of Lords is supposed to mean that the British constitution has remained unchanged since 1707. In fact, behind the façade of continuity, the British state has been one of the most flexible and adaptive states in the history of capitalism and always concedes reforms when forced to, which is one reason why it has manged to survive for so long. (For a genuinely archaic constitution you need to look across the Atlantic.) If reforms have been few in recent years it is because pressure to deliver them has been severely reduced, not because the British state is any less capable of reform than any other. All capitalist states have their own special ways of trying to thwart democracy: that is one of the functions of a capitalist state. It is not clear to me, however, why the Spanish constitution, which stresses “indivisible unity” and makes Basque or Catalan secession actually illegal, or the vaunted French republican constitution, which allowed the government to make public wearing of Muslim clothing illegal, are inherently superior to the British. In any event, it would be easier to achieve reforms in Westminster than in the EU, where it requires winning unanimity in the Council, and there is more possibility of simultaneous revolutions in all 28 member states than of this happening. The second Hayekian aspect of the EU is the use of rule-bound policies–on limits to public spending, on debt as a proportion of GDP, on competition–to limit what national politicians can do at the behest of their electorates. Since the rules do not allow for devaluation or the levels of state expenditure or debt which would have been necessary to stimulate the economy, the only remaining response to the crisis of 2008 was austerity. The EU’s embrace of the Transatlantic Trade and Investment Partnership (TTIP)–far more enthusiastic than Washington’s, incidentally–and the possibly even more insidious Trade in Services Agreement (Tisa) are only the latest and most extreme examples of this. In this context it is incredible to me how lightly how some Remain supporters are prepared to pass over the experience of Greece. In Yanis Varoufakis’s revelations about his encounters with the Troika, it was the EU institutions–the European Central Bank and the Commission–and not the International Monetary Fund which took the most merciless position. And what did these upstanding upholders of European values tell him? We don’t care that that the Greeks voted against austerity. It is no concern of ours if Greek children are suffering from malnutrition. It is irrelevant that Greek hospitals are running out of pain-killing drugs. These are the rules, so get with the programme and start cutting pensions, privatising services and increasing taxes for low earners. Watching the Greeks being crucified upon the cross of EU membership, should we now congratulate them on their self-sacrificing support for the European ideal? The lack of democracy and presence of binding rules would be reasons enough to leave the EU, but there are least three others, each of which attests, not only to the inherently reactionary nature of the project, but to how it fails to perform even the role for which it is most celebrated by liberal boosters: overcoming national self-interest. First, the EU is designed to maintain the structure of existing inequalities between European nation-states, although this has only become entirely obvious since the enlargement process after 1992, when the poorer areas of Eastern Europe and the Mediterranean were allowed to join. Beneath all the talk of “solidarity” this is inescapable: a financial and industrial structure designed to meet the needs of the strongest economies–France and Germany and, since the advent of the Euro, increasingly just the latter–but which forces the weakest to play by the same rules, will always be detrimental to them, particularly when there is no mechanism to transfer funds or resources within the EU in the way that can be done within nation-states. Second, although the EU is not an imperialist power in its own right, as a collective body it does, however, increasingly act as an adjunct to NATO, and consequently as a support to US interests. It is, as they say, no accident that the US insisted that Eastern European accession states should join NATO before the EU. But this role was inscribed onto the EU’s DNA from the beginning. The US initially encouraged and supported the formation of the EU’s predecessors as part of a Cold War bulwark against its Russian imperial rival, and this is the main reason why there was “no war in (Western) Europe” between 1945 and 1991: although engaged in in economic competition with each other, the EU member-states were united behind the USA in the same geopolitical alliance. But if the EU itself does not act as an imperial power, the main constituent nation-states increasingly do, and they by no means always bow to Washington’s wishes. Here again we see the more powerful placing their own interests over those of supposed European unity. For some this is externalised, as in the persistently underestimated French presence in Central Africa, but for others it is manifested in the heart of Europe itself–most obviously in the case of Germany, whose recognition of Croatian independence in 1992 contributed to the subsequent Yugoslavian bloodbath. Third, the EU is structurally racist. The very idea of “Europe” is necessarily exclusionary. It is little remembered now that Morocco applied for EU membership in September 1987, much to the hilarity of the Commissioners, who turned it down on the grounds that it “did not meet the criteria for membership”. The much vaunted “freedom of movement” within the EU is predicated on blocking the movement of those without, as tens of thousands of desperate refugees are currently discovering. The spectacle of these people being trapped in the camps, behind barbed-wire fences and facing the police dogs and tear gas on the borders of European civilization is obscene enough, but it is compounded by the attitude of the constituent states themselves. For here again, their individual interests take precedence over even collective barbarity, as the Schengen Agreement collapses into a free-for-all to defend individual borders against the alien hordes. There are certainly evils here, but it is not apparent to me that they are “lesser”. There is one final positive argument for the EU, which tends to be expressed by sections of the radical left. It is that capitalism rules everywhere, from the EU right down to our individual workplaces. But, so this story goes, at least the EU fulfils one of the few positive functions of capitalism: it brings together workers into one of the largest groups on earth, and their pressure can transform the EU. This is a classic example of confusing our wishes for reality. The EU organises the ruling class, it does not organise workers. As Trotsky once wrote in another context, a brake cannot be used as an accelerator. There are no EU-wide political parties, or trade unions, or movements. In any case, one of the arguments Yes supporters used during Indyref was that solidarity across borders did not depend on constitutions or institutions, but on the willingness of workers to support each other, even if in separate countries. That is as true for the nation-states in the EU as it is for the nations of the UK. Instead of invoking imaginary battalions of workers organised at a European level, it would more useful to begin building where we are. Let us return to the question with which I ended the previous section. Faced with the choice of whether to join the EU, from the position of starting afresh in an independent Scotland, should we choose to do so? For one thing we would be seeking to join a body which was aligned with NATO, from which the left is committed to withdrawing, but let that pass. Suppose we did join and subsequently a genuinely radical government took office, consisting of a coalition of the left parties. The EU’s rules already affect Scotland in relatively trivial ways: the Aberdeen Ring Road, the new Children’s Hospital in Edinburgh, the proposed film studio in Cumbernauld–in each case the Scottish Government had to seek private (and more expensive) funding because of EU prohibitions on state spending. But what would be the case if a radical Scottish Government wanted to renationalise the railways, or nationalise and decommission the oil industry? These policies are not revolutionary, simply the kind of serious reforms which–along with increased taxes on wealth, repeal of the anti-trade union laws, a massive public house building programme and land reform–would be necessary to rebuild Scottish society after the depredations of neoliberal capitalism. What do you suppose the attitude of the EU would be to them? A message saying: “we congratulate the Scottish people in their attempt to realise the European ideal of social justice”, perhaps? Or would it be threats, then expulsion, followed by boycotts, blockade and a course in “preventative retaliation” by our NATO allies? To ask the question is to answer it. Any course of radical action is simply incompatible with membership of the EU. It is clear why the SNP find this acceptable since it is committed to maintaining the neoliberal settlement, at least at the fundamental economic level; but why are members of the radical left even contemplating move that will make our goals even harder to achieve? Can the Left Make a Difference? I wrote earlier that there were differences between the Scottish independence and the EU membership referendums. In the former, most of the forces of the radical left were united in RIC and we had over two years to shift the broader Yes campaign away from the Monarchy-Sterling-NATO package initially offered by the SNP. In the case of the latter, we are divided and the time is absurdly short to alter the terms of the debate. Nevertheless, whatever the difficulties, a left argument for Leave urgently needs to be made. Voting Left Remain on tactical (“lesser evil”) grounds, whatever the putative short term advantages, will be negative in the long term, because it will effectively involve submitting to political blackmail and putting our defence of migrant rights in hock to the EU, which–to say the least–we know cannot be relied upon to defend them. In other words, we need to build our own independent capacity to argue a case, otherwise we will find ourselves subject to the same blackmail each and every time it arises. And it will arise again, since the multiple crises of the EU–of which the crisis of its external and internal borders is only the most visible one–are not going to come to an end any time soon. If we do not, the working class people we hope to influence will conclude either that the left has no positive position of its own or that its position is simply incoherent–as illustrated by the spectacle of usually credible left commentators like Owen Jones and George Monbiot explaining just how completely undemocratic and neoliberal the EU is…only to then call for a vote to Remain. And the Left Remain position, no matter how “tactical”, ineluctably slides into an apologia for the EU and then onto a delusional reform programme. One final point: some would argue that a Left Leave position is simply retreating to the follies of socialism in one country, whether that country is Britain or Scotland, but that is not what is being argued here. The struggle against neoliberal capitalism is unlikely to begin simultaneously across the whole of the EU, or to be confined within its boundaries. What we are likely to see is an uneven series of movements of different intensities, within different nation-states which, if victorious, could form new alliances and ultimately a United Socialist States of Europe. However, this vision cannot be realised within the EU, but only built afresh on its ruins. You seem to have forgotten the Franco-Prussian war and other “local” incidents. Yes I was a bit surprised about that since these types of analyses normally have the Germans as the villains of the piece. The former Yugoslavians and Ukranians would have words to say about your belief that we have not had recent war in Europe. In fact, many Ukranians that have been displaced by war in the east of the country pin the blame on the EU. Excellent article, Neil, and as an analysis of what the EU is at present, I’m not going to argue with you. What I think you fail to mention are at least two things. Firstly, the historical moment of this referendum in terms of what is happening in the south of Europe. That has nothing to do with why Cameron called the referendum of course, but it is abundantly clear that neo-liberal EU hegemony is in deep crisis in the south of Europe. This can be seen in the case of Greece, but also Spain, where the PSOE have turned to the right – to Ciudadanos; effectively a right-wing version of Podemos – to try to form a government instead of to the Left and Podemos. The reason for this is because the PSOE is internally divided. The crisis of legitimacy of the traditional parties – backed by the EU of course – in the South of Europe offers the first real sign of hope for fundamental change in Europe in decades, through parties like Syriza and Podemos, and recall how new both parties are. So, I think, historically, it is an interesting time, and one which the Scottish Left can play a big part in contributing to, as an English speaking country, with our history of radicalism and mobilization, and with our European tradition. The second point is related to the first. The EU may look impervious to change, but recall that it does not have any actual state force beyond that offered by national governments. There is no EU army or navy or intelligence service. That makes it vulnerable in my view. Greece was too small to bring about the great change in the south of Europe, but it could feasibly happen in Spain, and if it happens in the fifth biggest economy in Europe, the Troika won’t be able to get away with what they did in the case of Greece. If a country as big as Spain voted for radical change, I think it could easily spread to every other country in the south of Europe, but also Scotland and Ireland, say, in away not dissimilar to the break-up of the former Soviet Union: largely peaceful revolutions which overthrew a corrupt regime. We are at a historically new moment, and the crisis which has been gathering steam since 2010 in the south of Europe may soon come to a head. Finally, to take a Kantian view, you would have to ask yourself what the net result would be if the EU disappeared tomorrow? Is it more likely we move to a Federal Socialist Republic, or would the opposite be the case and petty nationalism not be more likely to take over? I would say that the latter is more likely than the former, at the moment in any case. It’s the wrong time to leave the EU. The deep, deep crisis in the Eurozone is a huge opportunity for radical change. Whew’So lets cut to the core,you are advocating a USSE State,have we not been here before,USSR perchance?A helluva lot of turgid waffle to eventually get to the point! Firstly, let’s be clear on what “Socialism” is. Socialism is state ownership and control over the commanding heights of the economy, with all the Authoritarianism that goes with that. and nbsp, spare me any weasel words about “social democracy”, “post-capitalism”, “progressive”, “a new kind of socialism where the realpolitik is only currently truly understood by (insert group of leftie mates in the pub here). Please name me one single example of a Socialist state that has successfully consistently provided a quality of life and standard of living equal to or greater than any modern successful state operating a form of state-regulated capitalism. Socialism is not the final aim; it is only a step on the road to communism. In fact, socialism is always a period of intensified crisis and intensified class antagonism. But this does not mean that we should avoid it, any more than a depressed person should avoid the difficult and traumatic work of confronting their inner demons. Not at all sure that I agree with view that socialism is always a time of intensified crisis and intensified class antagonism. That I thought was the domain of unfettered capatalism. Indeed, based upon what you have just said about socialism bringing a period of intensified crisis and class antagonism, am I to take it that socialism would actually make things worse than they are just now. I don’t think so, indeed I hope not do. Willie – As I was trying to illustrate with my example of the depressed person who accepts that therapy will involve a lot of difficult work (at the end of which, better mental health may be achieved), I think you’ve got to accept that we won’t just sail into a political and economic utopia without a major clash between the forces of labour and capital. So the question becomes: do we intensify the antagonistic aspects of the relationship between labour and capital in order to achieve political victory? Or do we appease and pretend that labour and capital can work together in harmony forever more? I agree that a lot of people mistakenly sell socialism as a utopia of social harmony, not only does this ill-prepare people, it’s also deeply self-defeating as people only have to look at places such a Venezuela to see that socialism brings the exact opposite of social harmony. But, ultimately, what is the alternative? Allow a dying capitalism to collapse back into feudalism? That would be madness in my view. I remember reading old papers from the Soviet Union when Soviet officials in the 1930s used to argue this kind of stuff and I must say it’s amusing to hear it being repeated today. Back in the 1930s – when the SU was experiencing ‘socialism’ the communist officials would state that official communism as defined by the party would be reached by the 1980s. Most “political” parties in my view end up being just that “political” parties they do not have the vision/initiative to break the bonds that bind them all to-gether,they are in strait jackets imposed on themselves by this lack of free thought,the old systems of governing/governance have failed we have to have radical Ideas that suit and compliment all of us that will benefit all of us,if we don,t then the same old failures will re-surface,plus change,plus cest la meme chose. If Scots vote to leave the EU we are signing up to perpetual English rule of our country. There is no other option for Scotland than YES, and our membership is supported by all but brit nats and deluded socialists! Can you imagine the Dunkirkesque spirit the uk goverment and bbc would whip up post brexit. You can see the headlines and the pressure and worry it would place on people. Scots only way to combat this maelstrom is to vote YES so we have a credible position to state our differences from those elsewhere. If we vote NO we are completely f¥cked! For those swithering, do you wish to stand on a platform with bill cash, farage, galloway and the bnp? If there is a vote to leave the EU, the British government will be in too much of a crisis to start whipping up a “Durkirkesque spirit”. That is precisely one of the article’s main points. Also, I wouldn’t share a platform with either the Scottish Resistance or Tommy Sheridan, so does that mean I should not support Scottish independence? By the way, please don’t think I’m having a go at you personally – it’s not your fault that the arguments for staying in the EU are so weak. Every man and his dog from the establishment will flock to Cameron’s aid in the event of an EU out vote. That includes the likes of brown and blair. Brown will be despatched to north brotain to shore up the union with full support from the bbc and other media. You should support whom ever you decide supports, informs or leads your views and opinion. I don’ follow your point about whether you support Scottish independence or not, do you? 1. Has united Western Europe for 50 years against the bacdrop of WWII. What is the alternative? Tories having full control on employment and health and safety laws? I don’t see any evidence right now of your scenario playing out that way at all – the establishment (and in particular, the Tory party) are quite demonstrably split in the most openly antagonistic fashion. Just watch any edition of the news at the moment – cabinet ministers at each other’s throats in television studios. Do your history and read what happened to Labour when Wilson permitted such divisions in his cabinet during the last referendum on Europe. My point was in direct reply to the point Bruce made about sharing a platform with Farage, Galloway etc, as if this was itself a reason not to promote a No vote. As I said, by that logic, I should have second thoughts about Scottish independence just because people I don’t like (e.g. Tommy Sheridan) supports it. On these sorts of issues, I quite approve of Alain Badiou’s recent analysis of the structure of middle class ideology, in which a conservative materialism has enslaved democratic materialism. It is our job, Badiou argues, to pursue political interventions which can liberate democratic materialism from this enslavement. And if one looks at the EU and the role of elite power within its institutions, I see only conservative materialism. By leaving, we will liberate democratic materialism and, then, as Neil says in his article, it will be up to us to argue for the things we want (many of which appear in your list of EU goodies or whatever you would call them). So sad there appears a genuine belief that Tory Party will rule in perpetuity ! The aspiration for progressive fair politics is not something that I recognise or associate with the ever regulated Corporate Led European Union. Perceived EU Workers rights are being undermined everywhere in Europe and what exists at present isn’t written in stone. TTIP isn’t going to enhance worker rights as more and more public services including the SNHS/NHS are subjected to tendering requirements. The private sector corporate or otherwise pay less that is fact. Continued EU membership will deliver no gain for workers. This well informed article is the best analysis for leaving yet, I hope more will follow , It’s a once in a generation vote. Vote Leave to regain influence over future legislation on Health and Safety,Zero Hours Contracts etc etc . English MP Kate Hoey aside what has happened to the Labour Movement? If you believe that then there is no point reading anymore, you are miles away from reality. If it were anywhere near true then you would vying with the SNP for control of the country. This is a fantastic paragraph! It would something of an understatement to say that the position stated in the previous paragraph does not exactly have majority support on the Scottish left. Indeed, in terms of formal party positions, there is a remarkable unanimity about remaining in the EU all the way from the Scottish National Party through the Scottish Greens to Solidarity. STUSC, an alliance and RISE which is really a SWP/SSP re-branded front rather than a party, has not taken a position and need not do so, although candidates will inevitably and quite properly be asked to set out their personal views on the issue in the Holyrood elections in May. The Radical Independence Campaign (RIC), a movement rather than a party, is under the least pressure to arrive at a position–and judging from the discussion of the EU at RIC conference on 20 February–its members are currently as uncertain and divided as most other people in Scotland. Good gag, Willie. But I think you missed the point – he inserted words into the paragraph that aren’t in the original in order to make it look like the author said something which, in fact, he didn’t. It’s the sort of tactic the Fib Dems became infamous for, with all sorts of dodgy misquotes and misleading statistics in their leaflets. They did it so often, it became a joke amongst the other parties. It’s obviously a style of campaigning that another Scottish party is now considering embarking on. They may just end up becoming the biggest joke of all. Mark, would it be fair comment to say that the piece was long winded, overcomplicated and quite unclear to most mortals. That was my take after reading the piece. The gag about a dictionary on acid was simply that, and no offence was intended to the author who was good enough to put fingers to keyboard. Waffle worthy of Lenin sitting in Zurich. Mind you he got his chance to convert his waffle intae a bloodbath! I am going to vote to remain in the EU, but with considerable reservations about what it has become in the last few decades. Ma heid’s sore reading this! If all the parties are supporting remain then where are all these lefties coming from and more importantly what will wee Nicola do if Scotland votes to come out and the UK votes to stay in? Will we get another chance to vote for independence? I see trouble ahead as all the loony left who have jumped onto the SNP bandwagon might just be as likely to jump back in the hope of an oot vote. Leavergirl, Greece got shafted because it is the Eurozone, not cause it is in the EU. What happened when the UK’s banks went into meltdown? The pound dropped and the Treasury printed money, lots of money, and bailed out the banks, something Greece could not do, because the Greek government doesn’t have the capacity to create Greek debt liked it used to do when it had the drachma.. Neither, Athens, nor Madrid, nor Rome nor Lisbon nor Dublin can print money. They lost that capacity when they agreed to join the Euro….which explains the Eurozone crisis…. What’s the diff, Douglas? If you are in the EU or Eurozone, you can’t fix your own problems. And Greece is getting yelled at about the migrant crisis, because it’s in the EU. As though, being broke and chaotic, they were in any position to do much to start with. Besides, EU is coming apart at the seams. (I can’t believe people actually WANT to be part of it at this time.) Or don’t you think so? Britain could have tackled the banking crisis. Neither America nor the Brits wanted to fix their piece of it. But they could have. Whereas Greece could not. I am not against the ideal of a more unified Europe. But the bloated totality of Brussels needs to go, IMO, before anything better can be put in place. Time to simplify… like the old Byzantine empire. Too top heavy, too crazy, too autocratic. Scrap it, and recycle the good bits. Post Indy I ridiculed those who believed the Project Fear scaremongering , yet so many INDY supporting Yessers have themselves fallen into that same media trap. And shafted by the EU Trade Deal with China which resulted in the Cheap Steel Imports undermining what remains of the Scottish Steel Industry. The pending CAL MAC deal outcome delayed until after May. Tendering of public services! 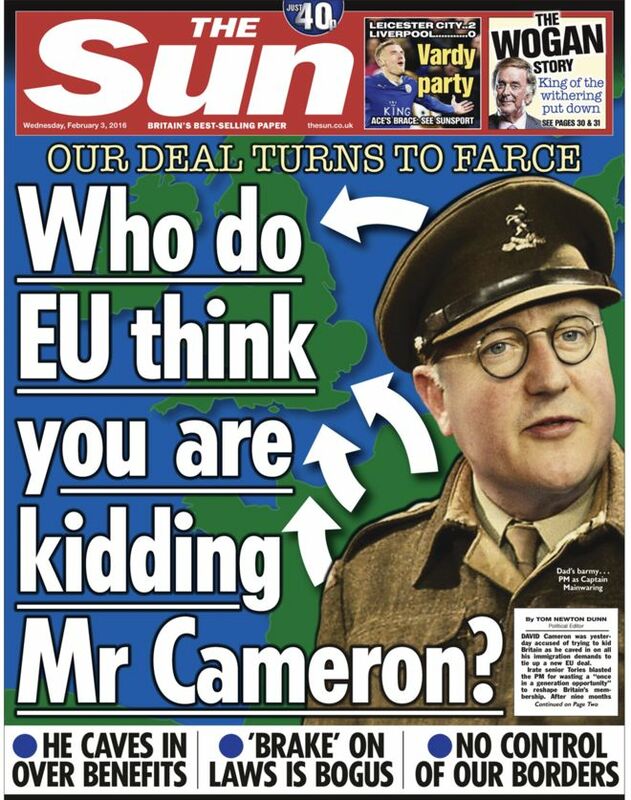 And why the Cameron haste over 23 June , get it over with before TTIP deal is signed. It’s to late for us after that. He knows a victory now is easier achieved. In or Out the earth warms up. And now, the French threaten Britain with border breach if they leave. Blackmail is always such a nice touch. At least people are debating the issues in depth and not making up their mind based on the headlines of mainstream media. That has to be a good thing. How much of that is happening in other parts of the UK? Covered all arguments here: politically and popular, thanks for going to the trouble. You are very right in what you are saying in terms of EU social policy directives, since there is a curtailment of public spending, and as your examples suggest, especially in terms of procurement, which is vaguely presented as encouraging fairness and cutting out favouritism towards private contractors, but has more to do with enforced public expenditure reduction. Even if we were to achieve full independence, but remain in the EU, we are still beholden to their neo classical economic system and rules that go along with this. Indeed, what would the attitudes of the EU Commission be, say post independence? Especially considering the consensus is for austerity programmes, which has resulted in the retrenchment of member state social protections right across the EU, thanks to the EUCB/World Bank/IMF. Undoubtedly, this is why since 2008, there has been a massive growth of Faith Based/community organisations incepting food banks, with welfare states only setting the regulatory framework around surplus food, while they carry on retrenching welfare. In terms of workers rights, well there is already signs of decreased collective bargaining in some member states, and this amongst those in secure (ish) long-term employment, which member states (especially liberal/conservative) are not particularly bothered about, and this along with up-skilling active labour market programmes being reduced unhindered, as the EUCB consensus appears to be for a flexible labour market, since neo-liberal economists believe this to be the only vehicle out of their crisis, and the EU remains in crisis. there are some rumblings that small number of neo-classical economists now see poverty and social inequality as detrimental to the prime functioning of the markets, particularly as there is a skill shortage, especially here in UK. However, cheap labour, with no employment rights and limited social protections for the lower classes appears to be the consensus, favouring the markets, implemented with little mechanism for opposition. In fact the EU commission is more interested in protecting the interests of above average/middle income earners social protections and employment rights (these workers have ability to up skill if need be) rather than lower income workers and is reflected in the EU’s loose guidelines on active labour market policies for example, whereby, despite the melting pot of ideas, research and evidence readily available, member states can broadly adopt these types of measures as they so wish, which are tailored by whatever hegemonic politics are in power, hence Universal Credit. Fact is, as we know, there is so much free-riding amongst service sector workers sadly, since there is mostly national minimum wage strategies within EU member states, in fact in US, Canada and Australia, that so many workers cannot, or do not see the necessity in joining trade unions, hence TU demise since the 1970’s. Overall, despite human rights, social, economic, cultural and political rights, which are in themselves elusive and unenforceable, many member states are getting away with arbitrary and punitive, conditional access to state welfare programmes, enforcing those at the bottom of the labour market to churn in and out of the labour market, with no rights, no adequate social protections, little or no security and a lifetime of poverty, thus only compounding social inequality. So yes, I agree, the EU is to the detriment of social justice and to workers rights. 100 years or so since universal suffrage and an opportunity to challenge the elite , have we advanced our position by allowing the EU to dictate events without our direct involvement in decision making – I would suggest not! Agree – Our Post War Welfare State, much like every other Welfare State systems across the EU were built around notions of ‘Citizenship’, underpinned by so called ‘Human Rights’, both of which are mere rhetoric, they’re grey areas; unenforceable. But, with so called rights comes responsibilities? The EU’s aim to organise workers to cater to the needs of the markets: currently turning us into a perpetual precarious workforce, on a grand European wide scale, moreover through so called progressive employment policies (minimum wage – cutting working week – as in Germany – sounds altruistic doesn’t it? its not, its part-time flexible working practices, it suits the markets, its just dressed up differently from UK flexible working practices) whilst de-unionising the workforce, not only pitting the unemployed against the employed, but the full-timers against the part-timers (insiders/outsiders). Meanwhile, EU member states can continue retrenching social protections, whilst in a rather appeasing fashion, and without upsetting the voters (mainly insiders as everyone else is too knackered or disillusioned with their lot to partake in ‘citizenship’ duties’ and vote), just chip away at other aspects of the welfare state. The EU has helped de-unionise workers rather successfully for over 4 decades now and as an entity with the ability to rival North America – no wonder TTIP is on the table, what is the difference between EU and North America anyhow, economically? As this article suggests, the EU organises the ruling class and not workers, least not in the way we are led to believe, ‘rights’ are an illusion, a bourgeois concept.